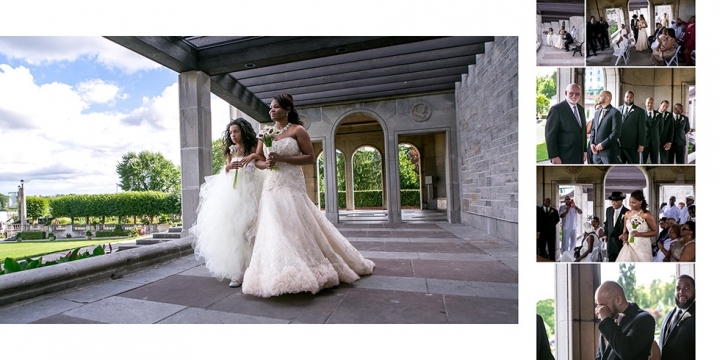 On a beautiful summer day, the Niagara Falls Wedding Ebonie and Michael took place on Saturday, July 9, 2016 at Oakes Garden Theater, Niagara Falls. Those whom are familiar with this location realize very quickly that is a huge area with many different architectural looks, depending on what part of the park you are using. Oh and yes, it is directly across the street from Niagara Falls; It gave us a beautiful backdrop for their nuptials and wedding photography afterwards. 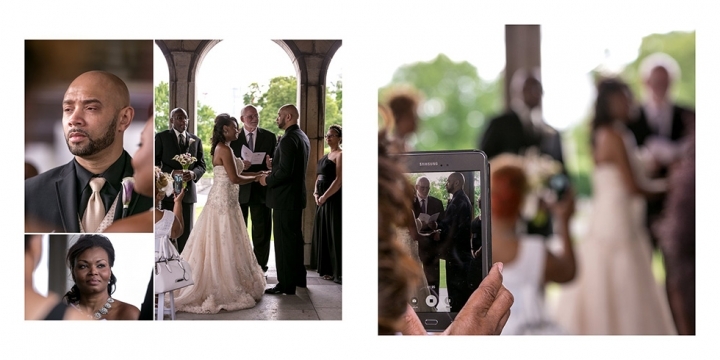 We had a beautiful day with the weather cooperating and the bride looked stunning in her dress; so much so that Micheal had some emotional moments the first time he saw Ebonie come down the aisle. After a beautiful ceremony, we spent a good amount of time having fun with the wedding party, getting all the important family pictures. 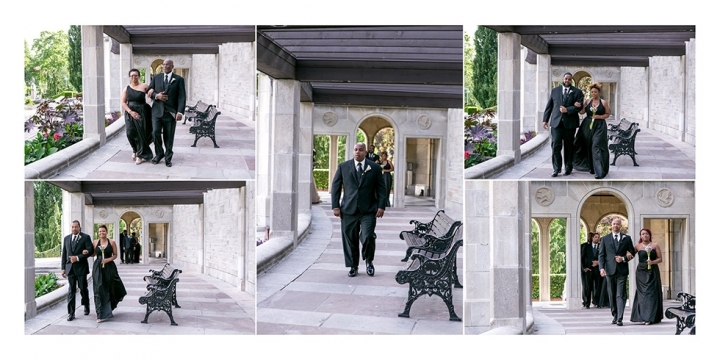 We then we moved on through the park for formals wedding photographs with this awesome couple. I was very pleased with the outcome of their wedding pictures and am sharing some of their experiences with you today, please enjoy! I already know based on the response from Derek and Celia that I need to get some other photo’s up on the site, so here are a few of us around Niagara on the Lake and Niagara Falls. The funny thing is that they don’t look cold in any of the shots (which I’m very thankful for… it was nasty cold and windy at times). I would like to thank both Derek and Celia, they never complained once, they did everything we asked of them and then some, and we stayed out for almost two hours between all the sites we went to shoot, from Niagara on the Lake old town at the Prince of Wales hotel to Queenston for a stop off at Willowbank, then to Botanical Gardens and Oakes Garden Theater, we were able to find the most iconic spots for Derek and Celia to use as their backdrops. I think these pictures will give you an idea (and peek) at what kind of day we all had out together. Enjoy Bucket list wedding Niagara Falls part 2! !